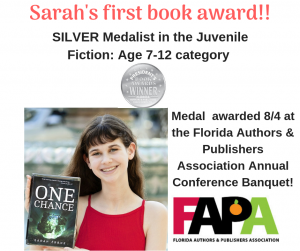 Sarah is available for interviews and appearances! 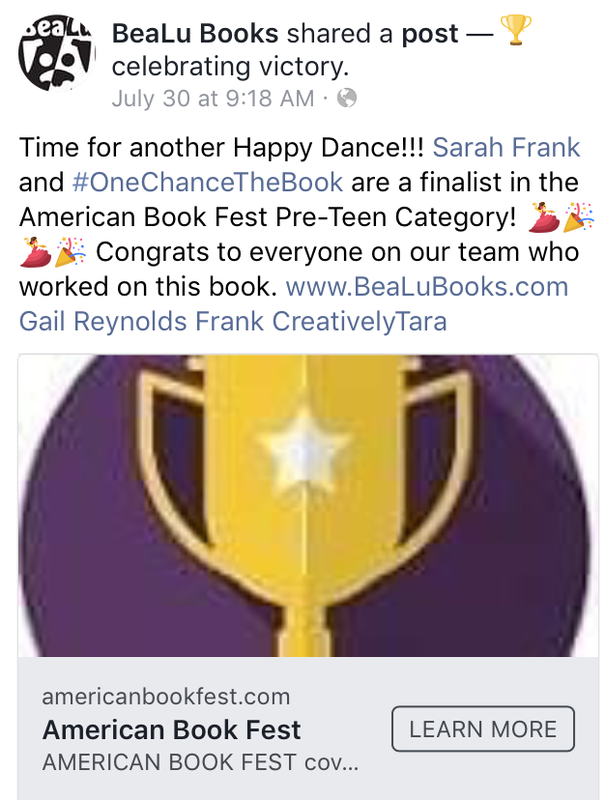 Please contact Sarah’s publisher Luana Mitten at BeaLu Books via luana@bealubooks.com or the form below. 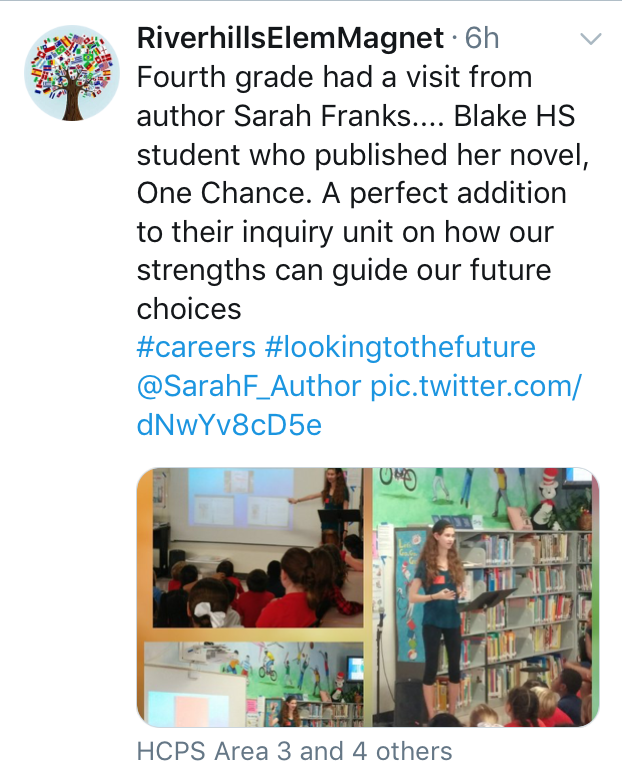 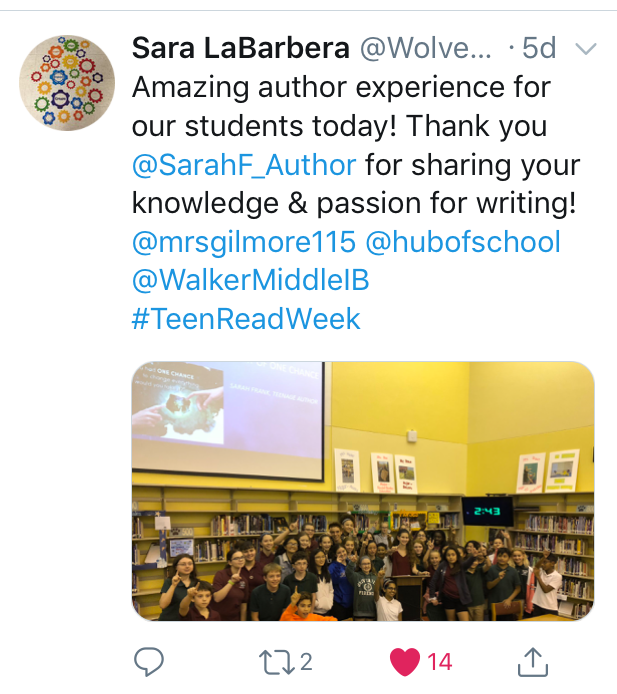 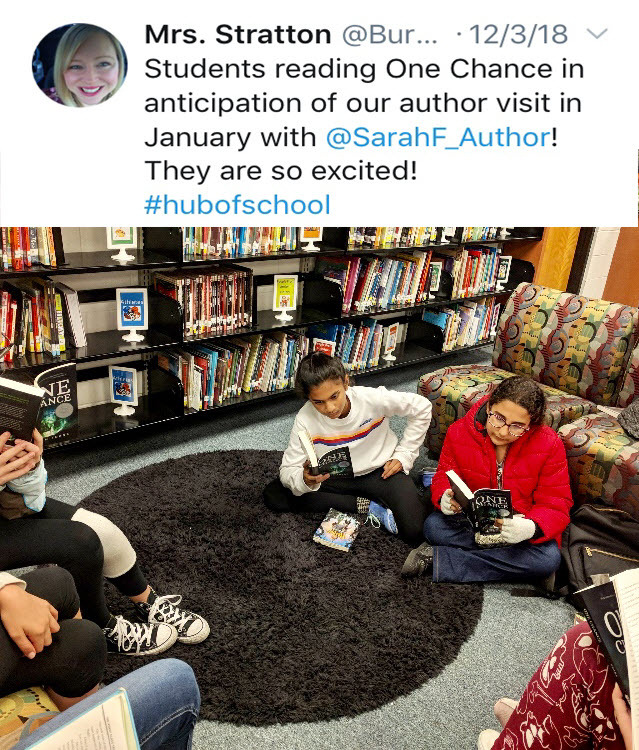 Sarah can visit 3rd-8th grade Hillsborough County students for free as her high school schedule allows! 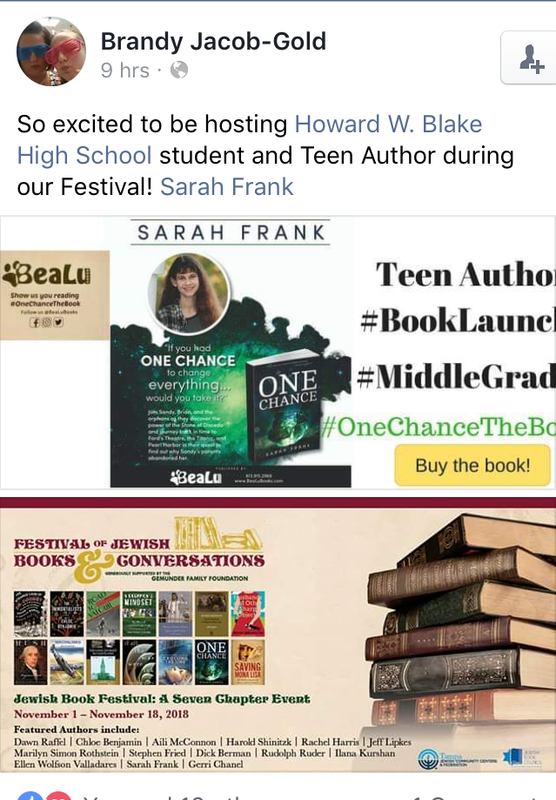 She is also available to speak at youth groups and clubs on weekends or weeknights. 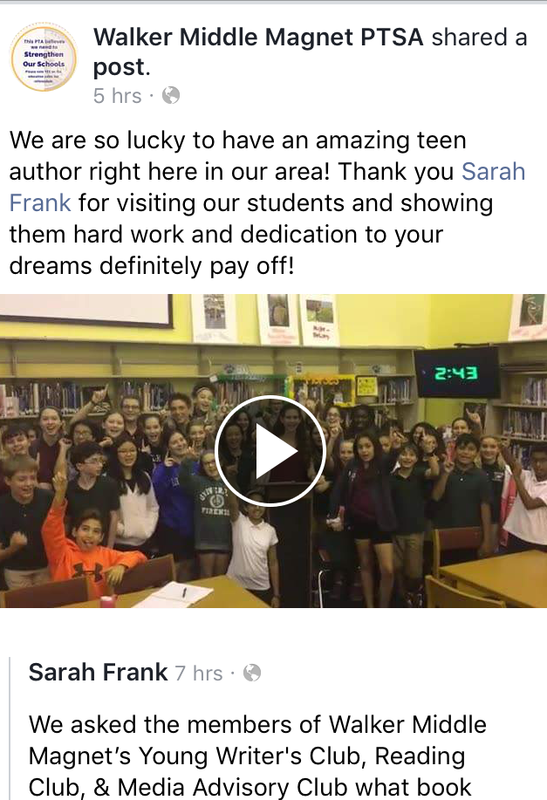 She loves inspiring kids to read and write and put in the hard work to make their dreams come true. 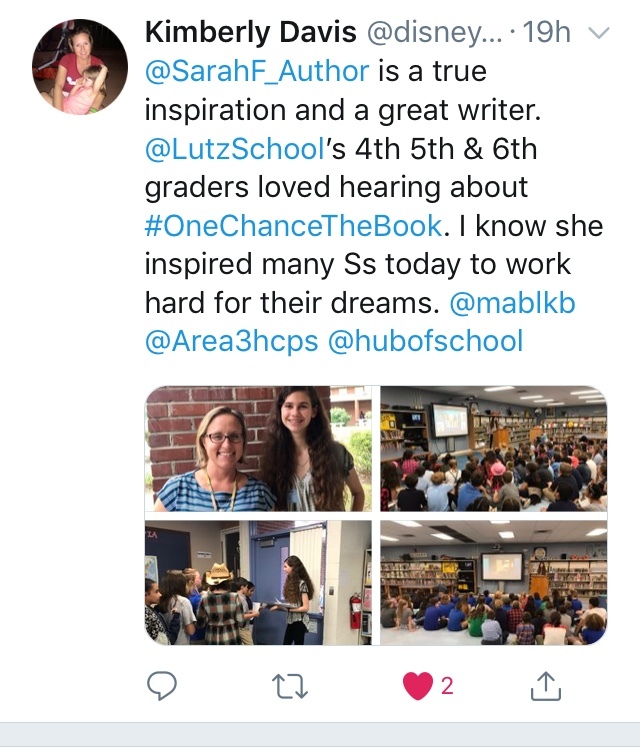 Her presentation is titled: The Story of ONE CHANCE: Dreams can come true! 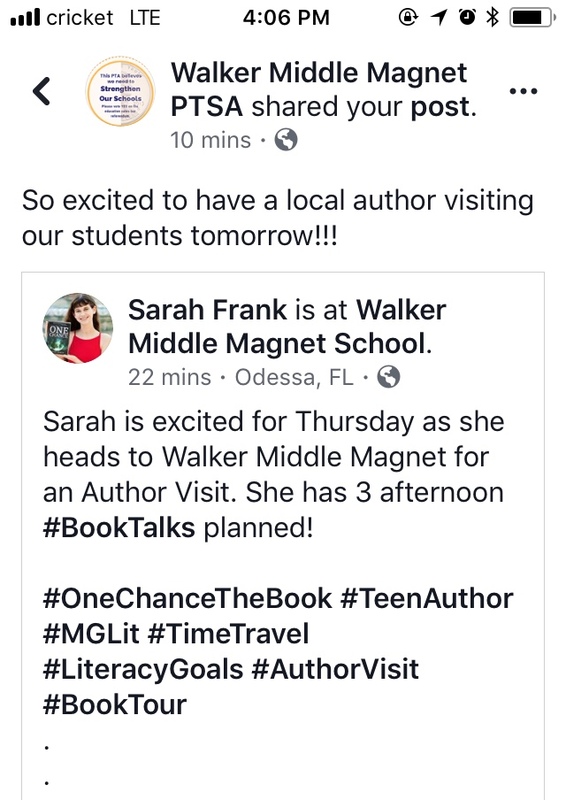 We usually do a 30 minute presentation: She has a PowerPoint presentation (14 minutes), can read a section of One Chance to the students, run a Q&A session, and autograph books. 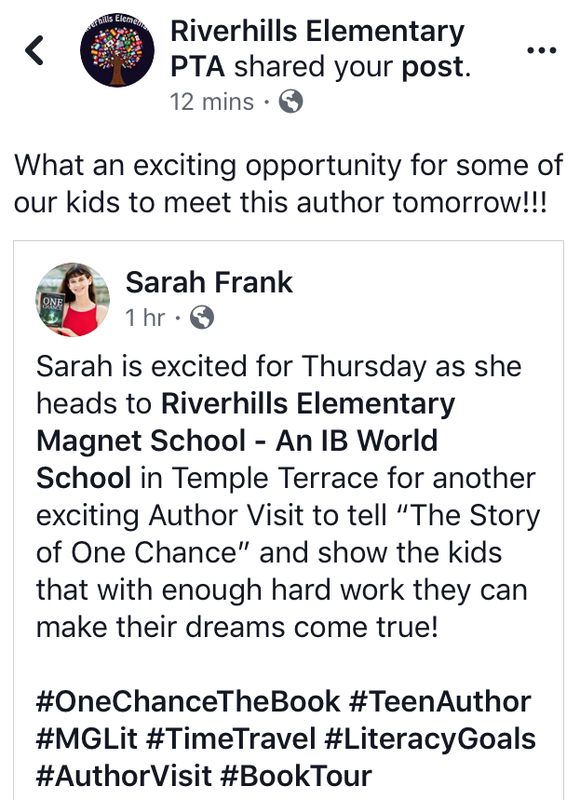 She doesn’t ask a fee because she wants kids to READ or HEAR her book. 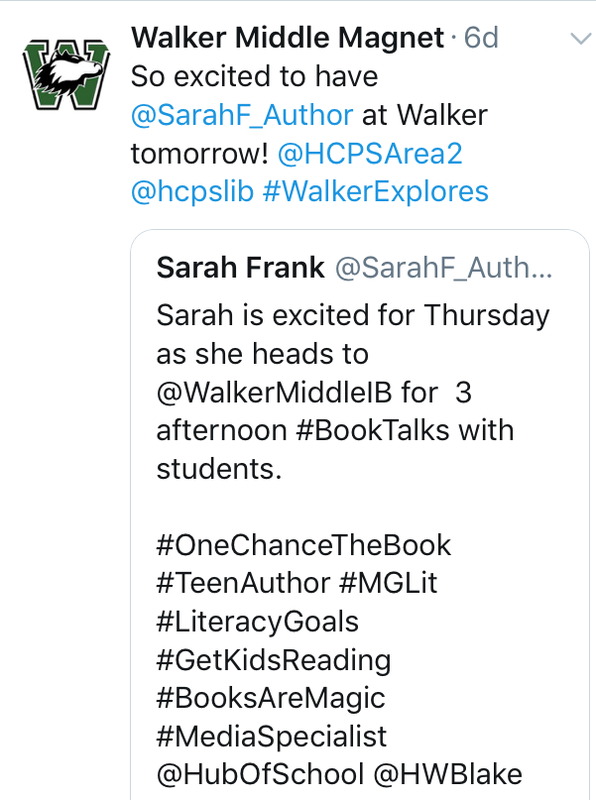 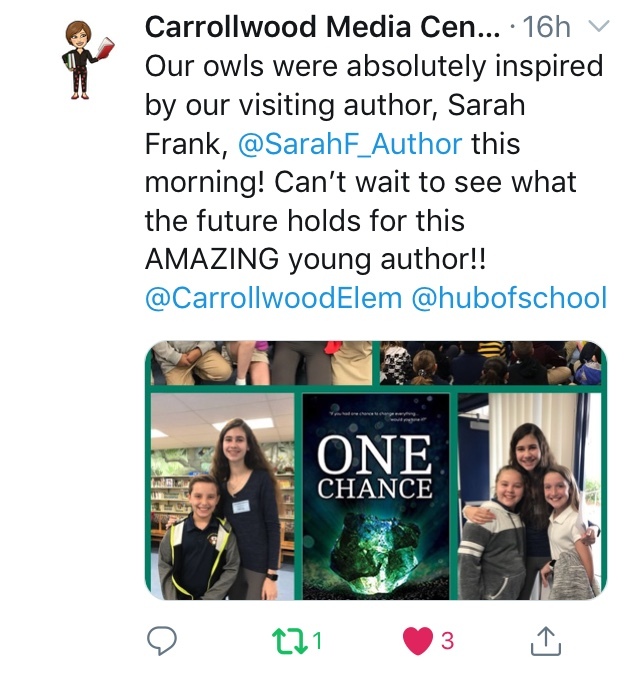 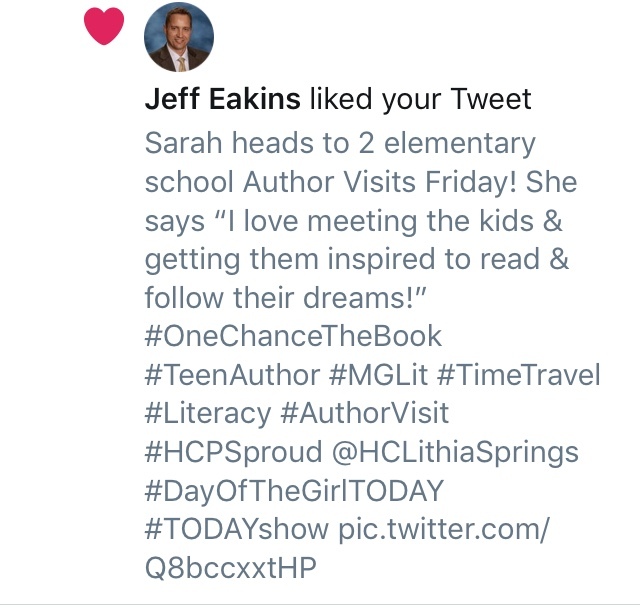 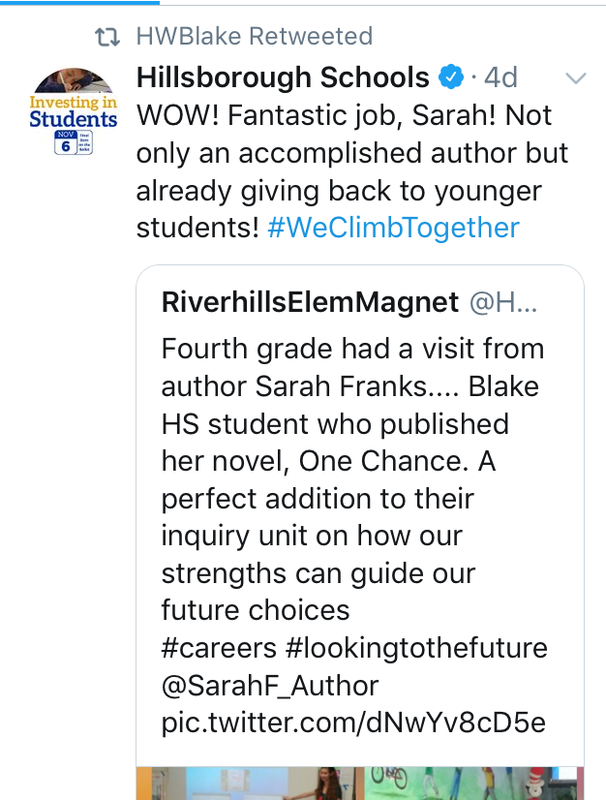 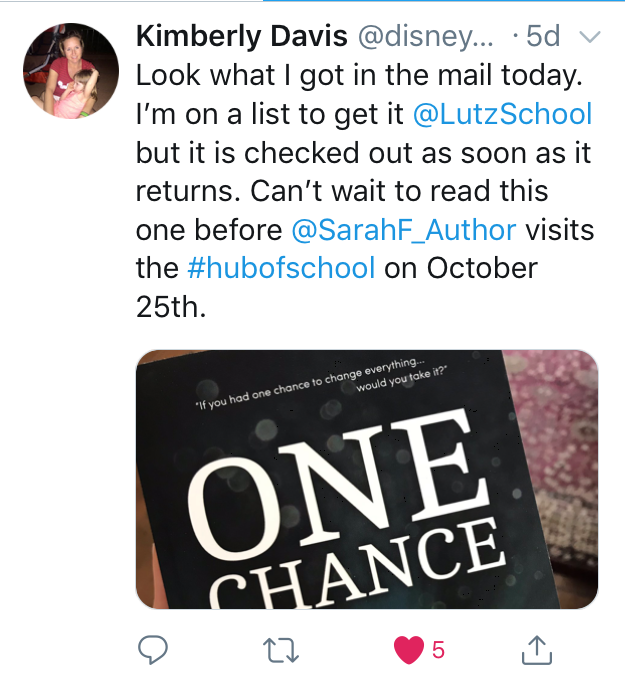 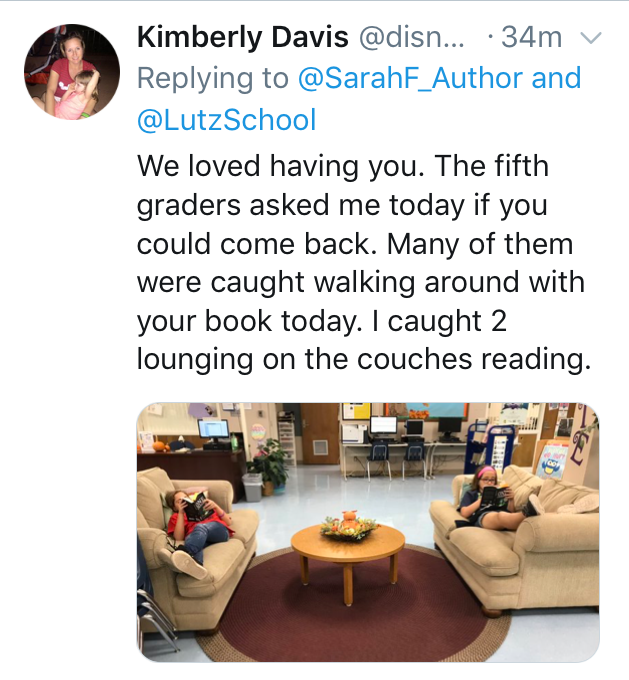 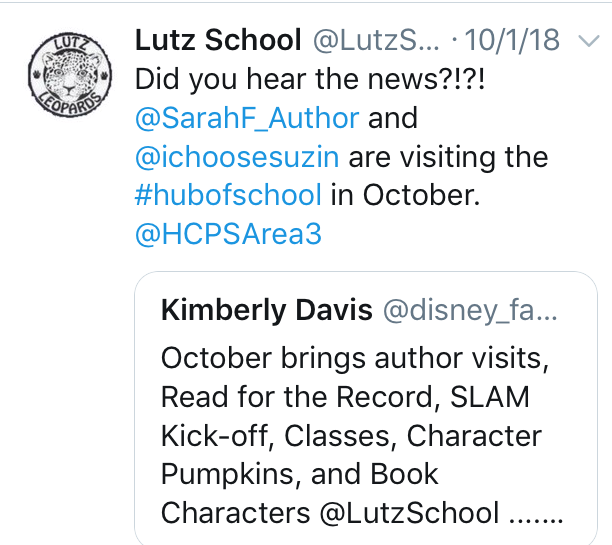 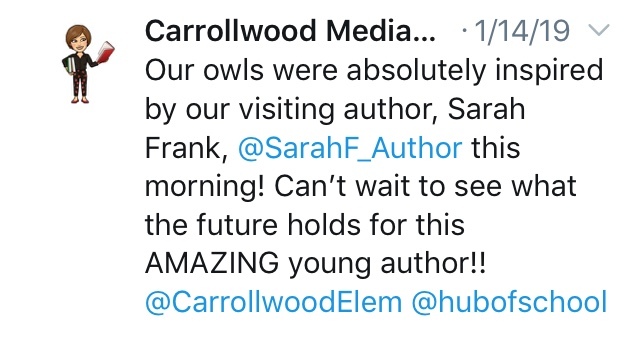 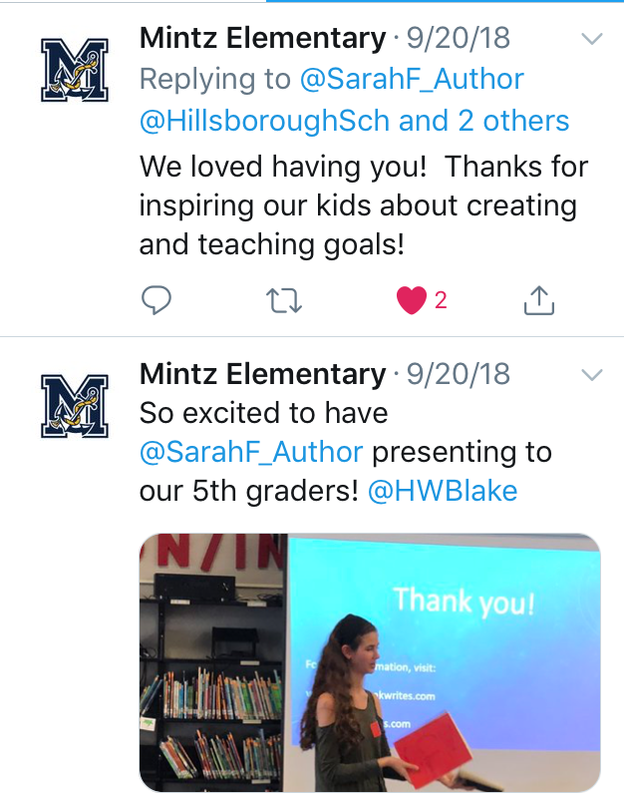 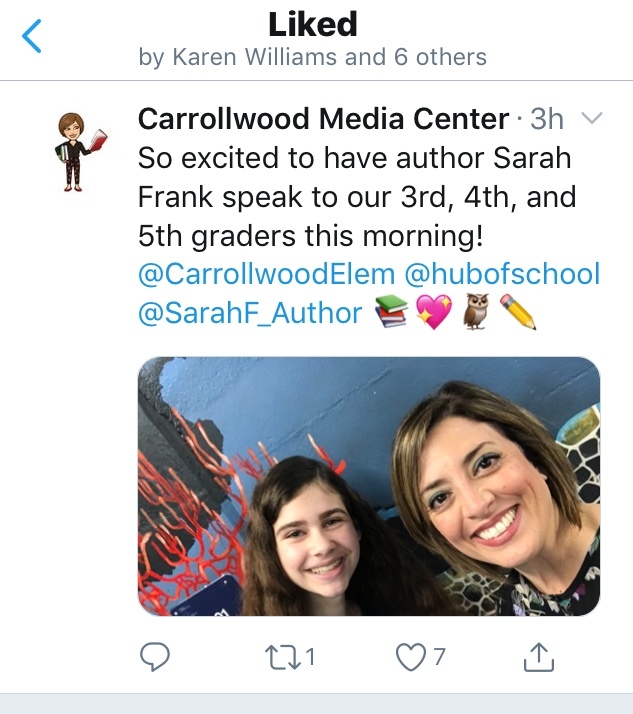 Her publisher has all the forms your teachers and media specialists need to get approval, promote the event, and order books for those who want them. 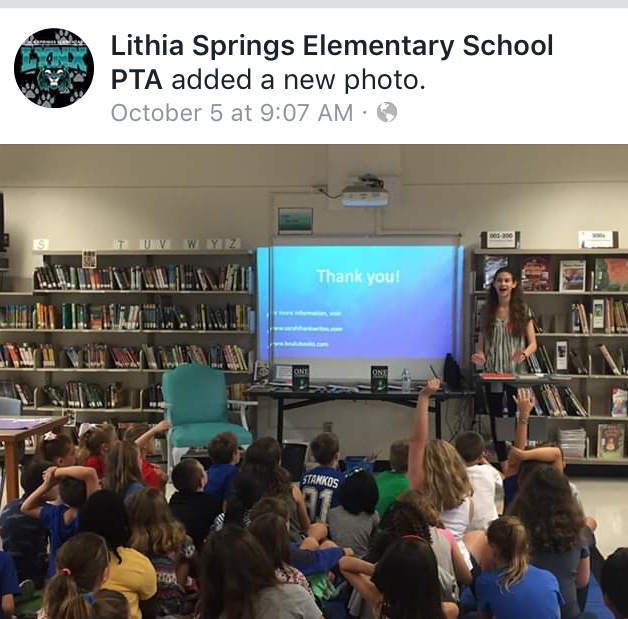 Right now we are accepting speaking requests from January 2019- May 2019. 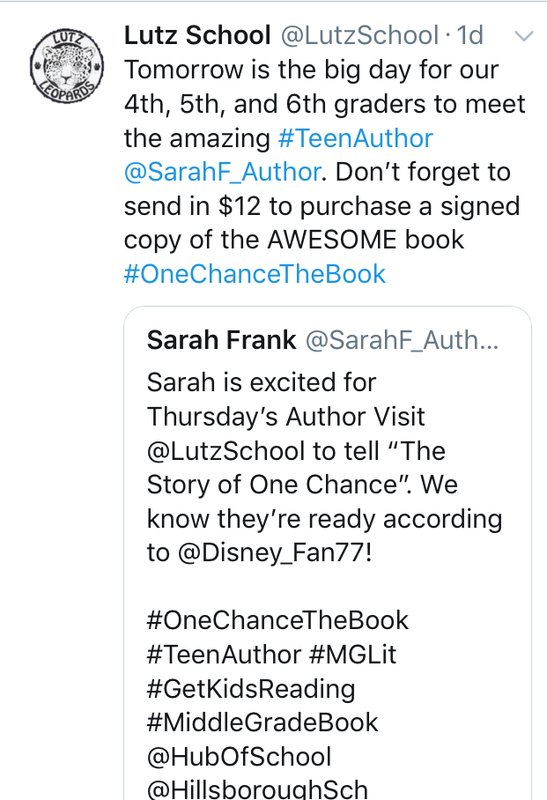 Please contact Sarah’s publisher Luana Mitten at BeaLu Books via luana@bealubooks.com or the form below. 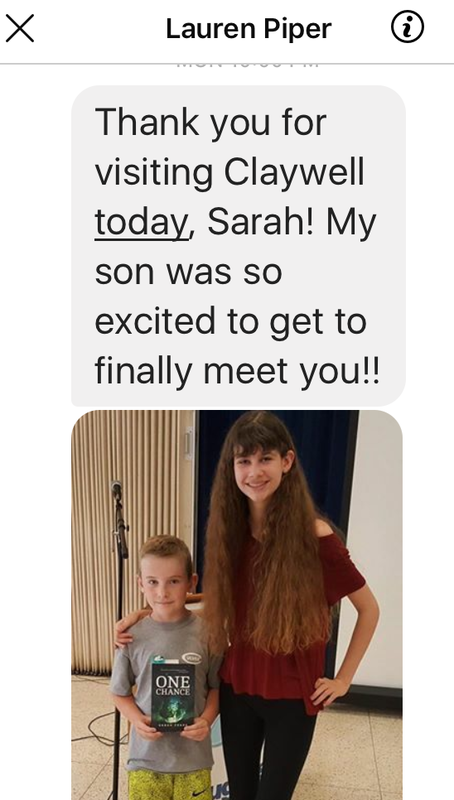 Sarah loves to hear from you! 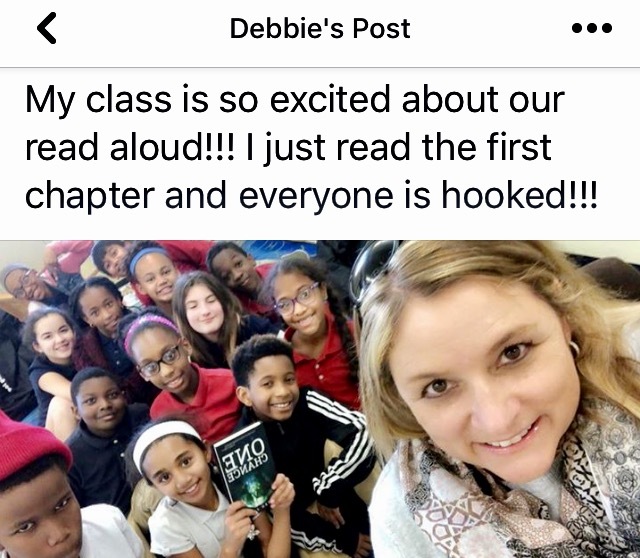 Comments or questions are welcome.